I spotted this saying painted in an elementary school library and thought, What a great way to encourage our children. It’s amazing how many nuggets of wisdom can be found in those Dr. Seuss books we all loved as kids. This quote is from Oh, The Places You’ll Go. I hope you all have an amazing, inspiring day! 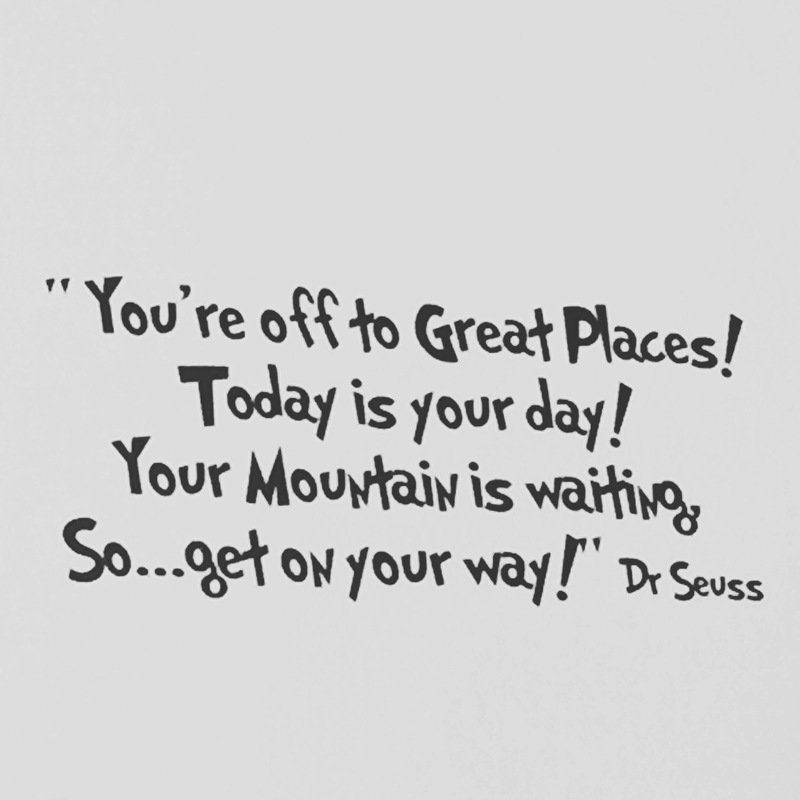 What mountains are you going to climb today?